The number of employees edges up to 65 employees by now. Thanks to the excellent year of business, the targeted annual turnover of 30 million euros were topped. Tobias Ebert (Bachelor of engineering, construction of special purpose and utility vehicles, Master of Science) joins the family concern and becomes head of the department concerning vehicle construction. He brings the segment of purchase and selling of construction machinery into being. In 2011 the staff edges up to 53 employees. On top of that, a annual turnover of 25,5 million euros is achieved. The modern production hall for vehicle and body construction is completed. The most innovative and biggest paint shop in the East of Hesse with the most modern sand blasting equipment including spray-galvanizing is housed here. The terrain extends to a size of 35.000qm, the workshop grows to 4.550qm. The number of employees edges up to 32 employees. Enhancement of an own car wash with a high requirements specification, whether passenger car or transporter. The opening of the high quality Christ-car wash system with felxible brushes and textile washing is rounded off by a washday on 29th of August in 2009. 2009 "XL service for transporters"
Our "ad AUTO DIENST" and "ad truckdrive" is expanded through a further add-on modul called "XL service for transporters". Transporters are not only larger passenger cars. They vary in lots of details. Therefore, specialists are required in this case. Your transporter is serviced excellently and can be repaired quickly after a breakdown. Because time means cash, especially in the transporter business. 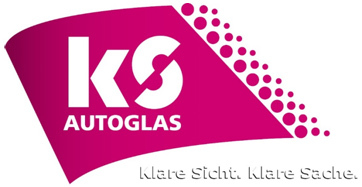 We as a partner of KS-Autoglas Burghaun-Gruben cooperate with all leading insurance companies. A fast and simple regulation with the insurance companies. Replacement of the window with high quality is our rating. We insure high quality and as a KS-Autoglas specialist we only use windows in initial equipment quality. 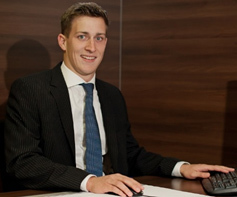 The eldest son Sebastian Ebert (vehicle technician and graduate in business management) joins the family concern and is responsible for the purchase and sale of utility vehicles. 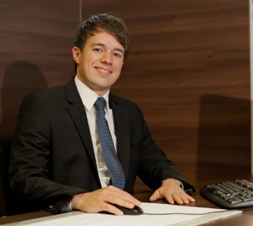 He deals with the sales management of passenger cars, transporters and utility vehicles. The quality standards with regard to trucks are defined clearly by "ad truckdrive" through performance with profile for all machines from other manufacturers, such as Volvo, IVECO, MAN and lots of other makes. The performance with profile is the personal care, conducting of emission testing, general inspection and safety test, modern workshop equipment, constand trained mechanics, cheap spare parts and attachments in initial equipment quality. Uncounted highlights onstage the Show-Truck of "Fulda-Reifen" fill the audience with enthusiasm. The magician Gerrit, the fashion show by "Modetreff Andrea", regional dance groups and a great fitness show by Galileo from Hünfeld appear on the stage. 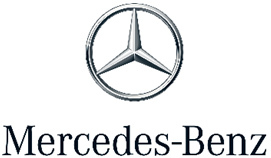 Since 2004, the company "Stefan Ebert GmbH" is contractual partner of the Daimler-Benz AG as authorized repair shop for Mercedes-Benz passenger cars, Mercedes-Benz transporters and Mercedes-Benz utility vehicles. The quality standard "certification DIN ISO 9001: 2008" is established in the concern. Moreover, our firm as a partner of ad AUTO DIENST passes the international seal of quality competition with the award "recommended automotive concern". All low-loading vehicles by Ebert are changed over to a monocoque, frameless building technique which has proved itself and which is still a best seller today as ST- series. A broad range of service is completed by the DEKRA support base. Of course, the technical experts from DEKRA are at yours disposal concerning investigations of damages, registrations, gas checks, crane checks, complete survey report (§ 21 Road Traffic Licensing Regulations), acceptance procedures (§ 19 Road Traffic Licensing Regulations) and other acceptances. Stefan Ebert becomes partner of "ad AUTO DIENST" which is the multibrand repair shop with quality and low price. We are a master company, which works with modern technique and whose employees are trained well. The range of services is clearly defined. ad AUTO DIENST is your repair shop for any eventuality. Whether service or repair, advice or buying a vehicle - you can count on the know-how of an versed master company in connection with the Europe-wide leading ad-International-workshop group. 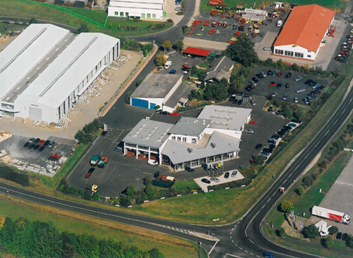 The enterprise settles to Burghaun-Gruben and trades under the name of "Autohaus Stefan Ebert GmbH". On a 10.000qm area with repair shop (880qm), 22 workplaces were created (passenger car-, transporter- and truck-sector). The costs for the new building comes to 6,6 Mio DM (3,4 Mio€). The offering grows by the sale of EU-new cars, a half year old and one year-old cars, official cars or leasing-returns, pre-owned vehicles and also utility vehicles. 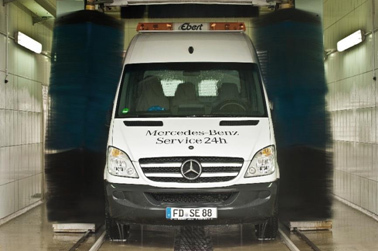 An 24-hour emergency and breakdown service, a car rental and a DEKRA support base complete the broad range of services. 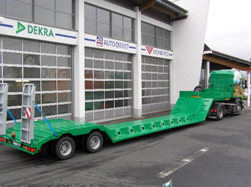 Special purpose trailers are manufactured according to the plans and drawings of Stefan Ebert in Wertheim. Modernizations of the repair shop were carried out (new gates, lifting platforms, tiles etc.). Furthermore, the company grows in connection with an own exhibition area in Rückers. Beside the education of two children, Silvia Ebert supports the business expansion actively by the entire office organization. Stefan and Silvia Ebert do 1,2 Mio worth of business on 3.100qm big premises. With the opening of a car workshop ,,Am Knottenberg 6" in Rückers, Stefan Ebert lays the foundation stone for the firm Stefan Ebert GmbH in Burghaun-Gruben, but only as a sideline for the moment. The double garage functions as a workshop. Later, the dealing with new and used vehicles begins. Stefan and Silvia Ebert are the only two workers.